printing for all packaging applications. combining high-resolution 4000ppi imaging with a unique inline UV main exposure unit. 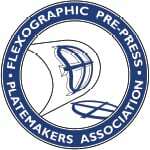 Plate” process: no lamination, no films, and no extra steps with light tables. the full membership of FPPA. cost.” comments Tim Moore, Southern Graphics, FPPA President-Elect.